Nothing chews like a MAOAM, and there's so many MAOAM's to chewse from. Full on chewing. Full on flavour. Full on till its gone! 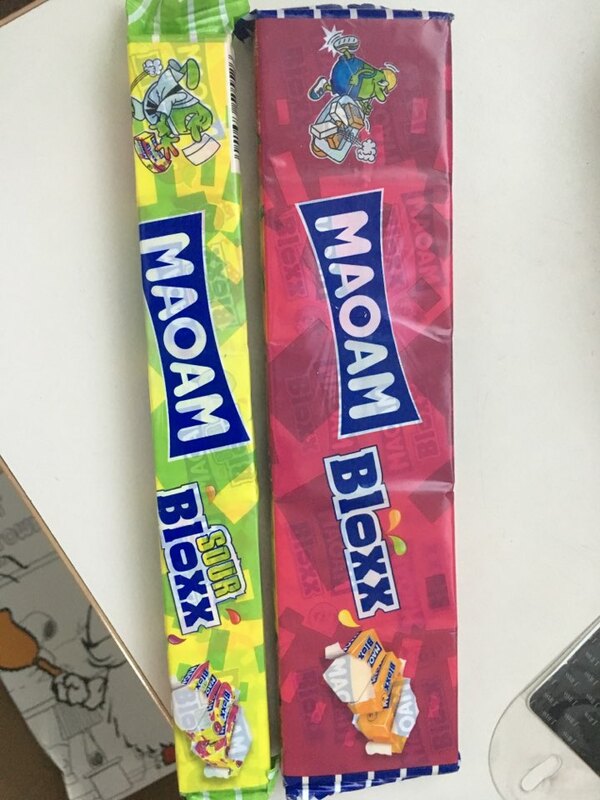 Maoam (pronounced "Ma-o-am") is a chewing candy made by confectionery manufacturer Haribo . Es handelt sich um einen Kunstnamen. It is an art name. Maoam gibt es in verschiedenen Geschmacksrichtungen. Maoam is available in different flavors. Üblicherweise werden fünf Stück einer Sorte zu einem Päckchen zusammengepackt und mehrere dieser Päckchen verschiedener Geschmacksrichtungen als Stange verpackt verkauft. Typically, five pieces of a variety are packaged into a packet and several of these packets of different flavors are sold packed as a stick. 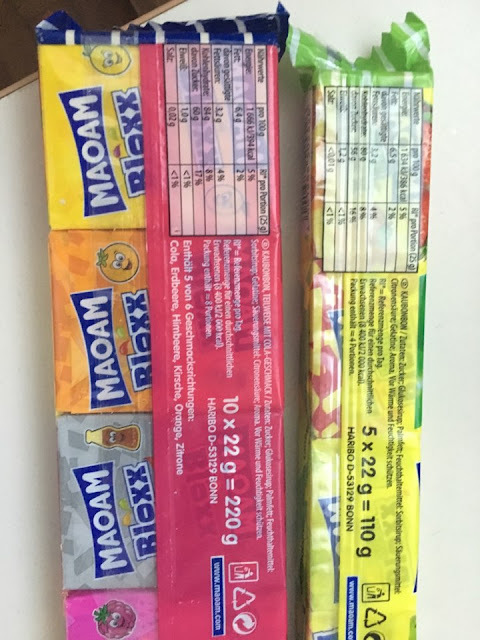 Haribo bietet auch „Maoam Kracher“ an, als 200-, 260- und 400-g-Packung sowie als 1,2-kg-Großpackung. Haribo also offers "Maoam Kracher" as a 200, 260 and 400 g package as well as a 1.2 kg bulk pack. I was utterly surprised that It had a same taste with Korean sweets. Even sweeter somehow which means Exactly My TASTE . I can't stop chewing that.